I am so happy to share this amazing book with you. I seriously don't even know how to say enough good things about it and I can't wait for your middle grade readers to give it a try. Check out my review below and make sure to enter the giveaway before you leave to go one-click this moving story about family, friends, love, adventure, loss, loyalty, and growing up. Is it cheesy of me to admit how much I adored this book, how wrapped up in the world of Molly Pepper and her best friend Noah I became. How I want to watch these two continue to grow into adults, watch them fall in love, watch how they continue to deal with all the best and worst part of life? This book is a beautiful story about a young girl dealing with tragedy and being swept along on a magical adventure that helps her hold tightly to her memories and look to the future while letting go of her past. It is this amazingly complicated story that is told through beautiful imagery, a wild adventure, and loving words. 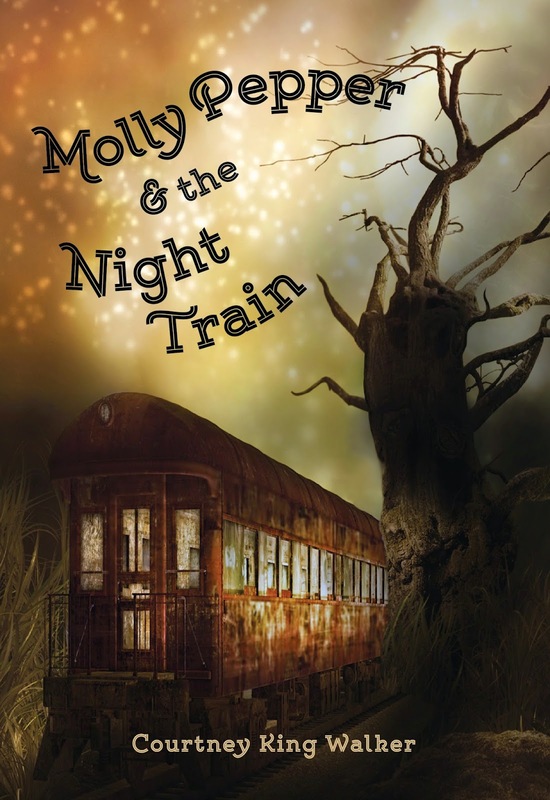 I loved the suspense in Molly Pepper and the Night Train, this feeling like at any minute Molly and Noah who are being lead on this crazy adventure are going to get into a sticky situation....but the best part for me as an adult and mom is knowing that the way Courtney King Walker has written the tale I don't have to worry about my young reader, because it's clear that even though to Molly this feels like a secret (and at times scary) outing she is always being watched, always being cared for. I loved knowing that if she ever fell apart Molly's family are waiting there to catch her, but yet they let her take this exciting moment and run with it. They let both her and Noah find their own strengths and weaknesses. In a time when we have become a society that hovers over our children it is refreshing to read a book about children being able to take on the world on their own, but always with the safety net in case they need it. First I have to talk about Noah because what an amazing character, what an amazing friend. He is with Molly every step of the way, he builds her up and stands beside her. He allows her to be exactly who she wants to be and loves her because of it. His summer goal is to tackle his fear list, (Seriously, I know what #4 is and I want a YA, then a NA and so forth book on this!) and I love him all the more for it. That he challenges not only Molly to be the best person she can be, but that he challenges himself. Noah is Molly's rock and I love that about him. Second, Molly...what a beautiful free spirit. She's 12 and while she has 12 year old moments in general she carries herself with such grace, you just know she has this amazing old soul. She's hurt, her world has changed but instead of giving up she continues to push forward. When I watch my girls I hope that they have her spirit, he drive, and while I hope that they at that young age never have to deal with the pain Molly is, that they are able to be as strong as Molly is. Finally, Molly and Noah's families. I wanted to cry for Molly's Dad...I can't even begin to imagine the struggle he is going through, the pain, and the doubts. That he doesn't tamp down Molly's adventurous spirit, that he lets her fly all while keeping her safe...he's the kind of parent I like to think I am or would be. The other person in Molly's family (who I can't discuss), I melted to watch how he keeps her mother's promise. Then Noah's parents...specifically to Noah's dad...I am literally sitting here crying about the surprise message he leaves for him. I want to be these people for my daughters. This book leaves me wanting to be a better parent, to be encouraging and freeing. To be the parent, not their friend, and to be their support. You just know that these two children are going to grow and never fear that they can't talk to their families, that they can't ask for help, that they won't be supported in anything they choose to do. It's a bit hard for me to talk about this book because I am so wound up in it emotionally as a parent and because I don't want to give anything away. I think, like Molly was given, I just have to give you little clues and let you put them together as you jump into this story. Every piece builds to these little beautiful moments that make me fall deeper and deeper in love with this story. I just want to sit here and talk to you about it all day, about all the little things you may not have seen the first time through, about how it makes you feel, and whether or not it left you wanting to be better than you were when you started reading it. The more I think on it the more it settles into my heart and wraps it's arms around me in this beautiful book hug. When you can walk away from a book feeling like you've been wrapped up in a pair of warm arms that held you tight while you learned to breathe again then you know you've read something truly magical and that is exactly how I feel about Molly Pepper and The Night Train, I feel like I've just had the most amazing adventure and hug ever. Courtney King Walker grew up Walnut Creek, California building rocket ships and rafts out of cardboard just so she could go to the moon and Niagara Falls. But a trip across the border to Tijuana was as exciting as it ever got. After being banned from the kitchen after a few too many catastrophes, she discovered a love for writing, music and art, and eventually earned her BFA in graphic design at BYU. 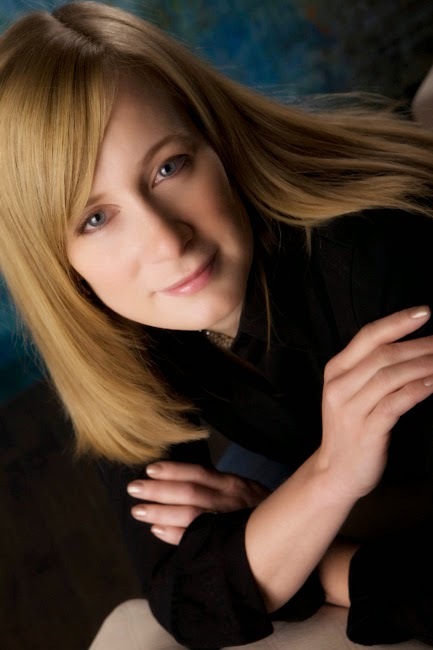 She has lived in St. Louis, Chicago and San Francisco, and now resides in Salt Lake City with her husband and four children where she continues to pursue all things creative, including writing, designing, composing music and baking, with an emphasis on making a killer piecrust.